Providing you the best range of kunzite gemstone, ametrine stone, quartz gemstone cabochon, rare stone, brazilian amethyst and cats eye stone with effective & timely delivery. 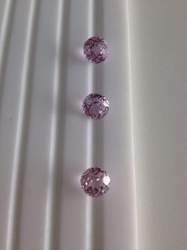 As an eminent enterprise, we are affianced in manufacturing, exporting, importing and supplying a broad gamut of Kunzite Gemstone that is usually come from Afghanistan. These products are aesthetically designed by our experts using contemporary techniques and following latest standards of market. Our offered products are available in various shapes and sizes as per the requirements come out from our customers. Also, these products can easily be availed from us in a stipulated time frame at nominal price. Looking for Kunzite Gemstone ?